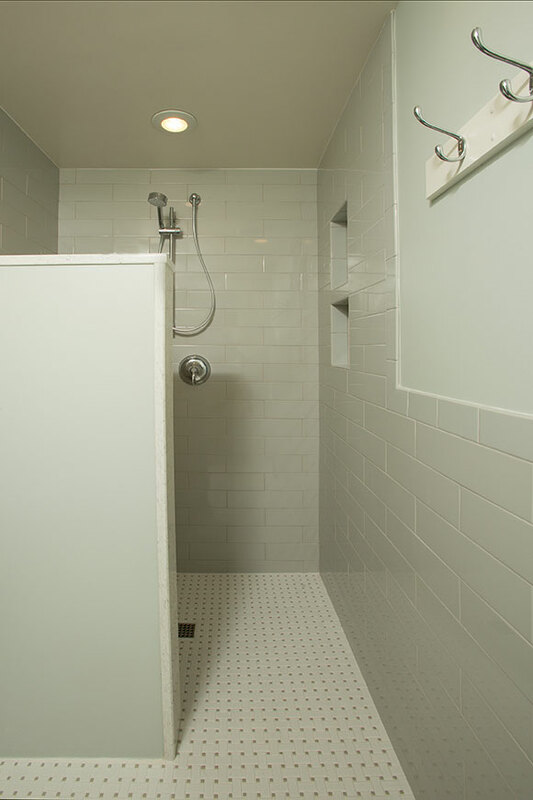 FOXCRAFT is well known for taking older small bathrooms and remodeling them so they perform large. This bathroom is built just off a pool area and it provides changing space and a practical shower for guests after they swim. 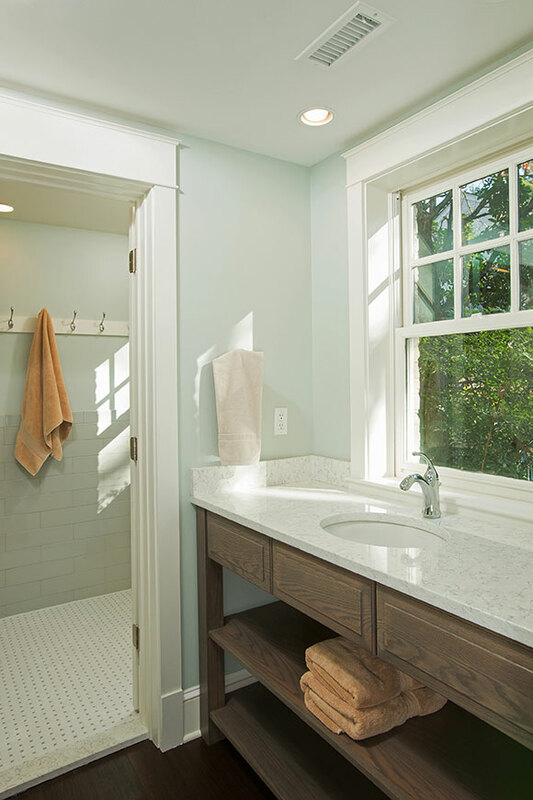 Placing the sink under a sunny window allows natural light into the space.